Some companies are going back to school in their office designs, and introducing a classic American education design element: the bleacher. 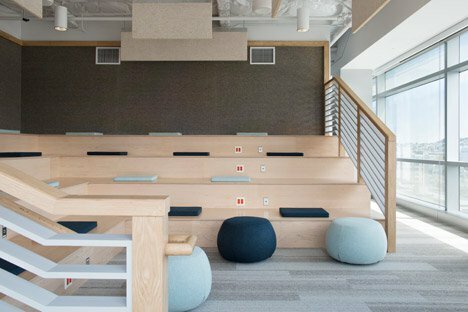 Bleacher-style seating, whether made from wood, acoustic felt, marble, or a combination of materials, is gaining popularity in companies with larger teams…think fifty employees or more. Why is bleacher seating so popular? For one, this style of seating, when built into a common area, provides the go-to spot for company-wide meetings. This in turn fosters a deeper company culture, one where everyone feels like they’re on the same team, or at least cheering for the same brand. It’s a subconscious wink to the good old days of Friday night football games or afternoon basketball playoffs. Another reason why bleacher seating is so appealing is because it subtly conveys a youthful atmosphere. Any visitor will immediately feel like this company is young, fresh, vibrant and competitive. 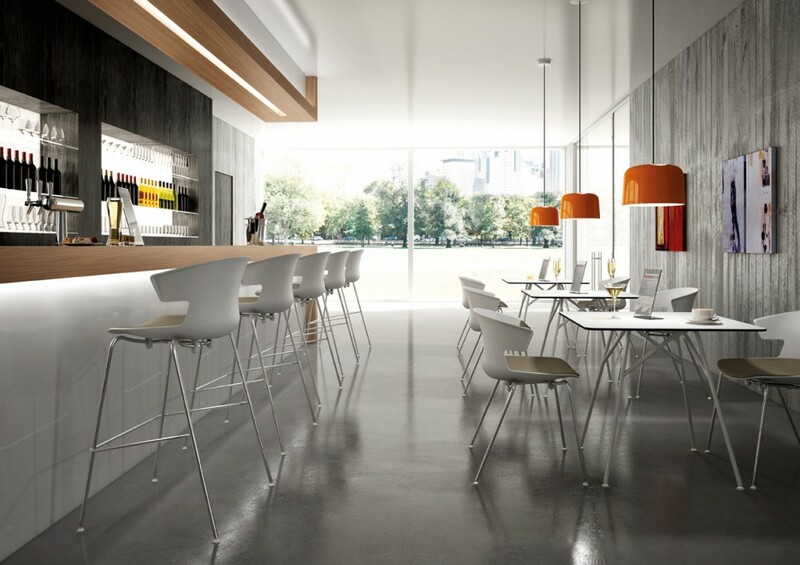 It can be a fun addition to entry areas or a secondary social area such as a cafe or media room. The disadvantage to most bleacher-style layouts is the commitment to taking up that permanent square footage with built in seating. 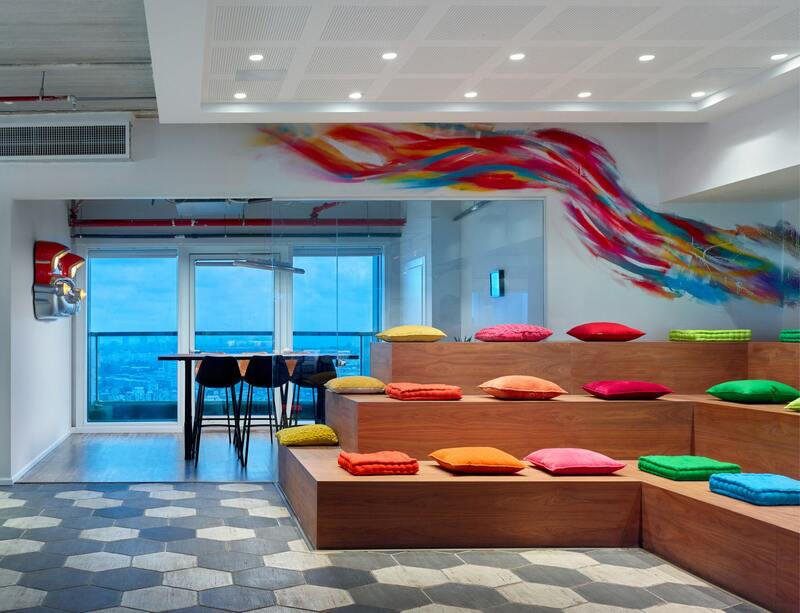 Think carefully before introducing this concept to your office design and make sure it accurately reflects your brand identity.